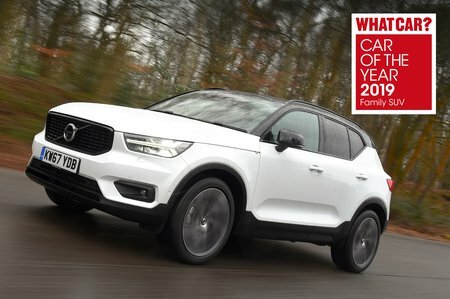 Volvo XC40 2.0 T5 R DESIGN Pro 5dr AWD Geartronic 2019 Review | What Car? What Car? will save you at least £1,492, but our approved dealers could save you even more. This model is based on the standard R-Design, but adds adaptive LED headlights, heated front seats, an electrically adjustable driver’s seat with memory function, headlight washers, a heated windscreen and 20in alloy wheels. Much more muscular than the other engines, the T5 is the quickest unit in the XC40 lineup by quite some way. It whisks you up to speed easily, and feels properly lively when you rev it hard. However, the diesel D4 is more relaxing to drive because it has more flexible performance at low revs, so it's more recommendable. Plus, the T5 doesn't have particularly brilliant fuel economy. Only available with an automatic gearbox and all-wheel drive.